Check out the full housing details & wet lenses here. The Canon G7X is the latest of compact cameras to come out with the larger 1" sensor. After the wide popularity of Sony's RX100 series, Canon finally got on board and released their own version. In addition to the large sensor, the Canon G7X offers a lighter body than its sister, the Canon G16, built in macro focus mode, and easy white balance modes with custom white balance, all in a small lightweight body, roughly similar to the Sony RX100. 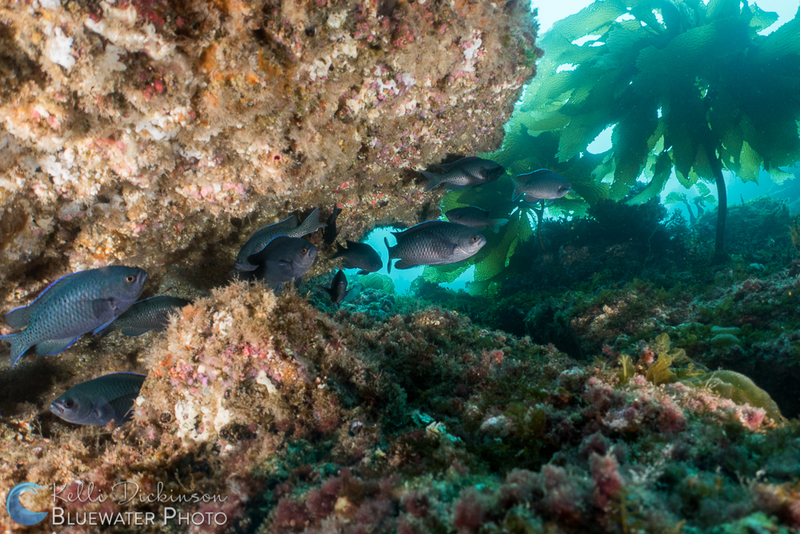 For more information on the Canon G7X and its use underwater, check out our full review. The Fantasea housing is a perfect option for folks on a budget. It is one of the few polycarbonate options to allow you full access to all controls on the camera though a button or dial. Many other polycarbonate housings don't get all the dials, requiring you to work around that control for some settings. While a little bigger than the other aluminum options it is still smaller than the Ikelite polycarbonate housing, with a much nicer grip and buttons. The housing has a clear back window, perfect to allow you to see in and make sure all is good with your camera. If the worst were to happen, you can easily see any flooding or water leaks right away. There is a double o-ring seal to prevent accidental floods and a leak detector inside as well. If you forgot to pop your flash before entering the water, do not fret, the folks at Fantasea even included a flash release lever. Tiered buttons on the back make it easy to use, even when wearing thick gloves. The rear dial is controlled with the small raised wheel on the back of the housing and the front dial is controlled by the wheel on the left side of the housing lens port. All controls are easy to maipulate and work well with the associated part of the camera, however due to their placement and design is is very difficult to operate this housing single handed. One small downside to the Fantasea housing is the design of the shutter release. Instead of a lever style favored by other housing manufacturers, this control is simply a large button on the top of the housing. It is easy to control and get a half press focus lock, but the comfort and ease of pressing the button, especially when using the housing on a tray, is not as nice as other options. A dual fiber optic cable mask is included with plugs so that you can use either Sea & Sea style or bare ended (Inon) fiber optic cables with your underwater strobes. Lastly the housing includes 3 threaded holes on the bottom for attaching a tray or tripod, as well as a cold shoe mount on the top for attaching accessories like a focus light. Underwater the Fantasea housing performs great. It is light weight underwater so minimal buoyancy correction is needed after adding accessories. There were no problems with any of the camera functions, and the large clear back even allowed me to see when my camera flash was having an issue during one dive. The rear LCD on the camera is bright and large and I had no issues of glare while diving (although I was not even shooting very shallow near the surface). If glare is an issue for you, this housing actually includes a black rubber shade for the rear LCD that you can simply pop into place to help block unwanted rays. In addition a handstrap and diffuser are also included with the housing. The Canon G7X offers professional like controls with full manual settings and even RAW capabilities. These allow you to take full control underwater by dialing in your settings to exactly what you need. Not ready to tackle the macro world yet? Not a problem, Auto, Program, Shutter and Aperture Priority modes are also available and switching between modes in the Fantasea housing is very easy. In Manual mode aperture is controlled by the front ring and shutter speed by the rear. However you can swap these controls in order to set the camera to work best for you. 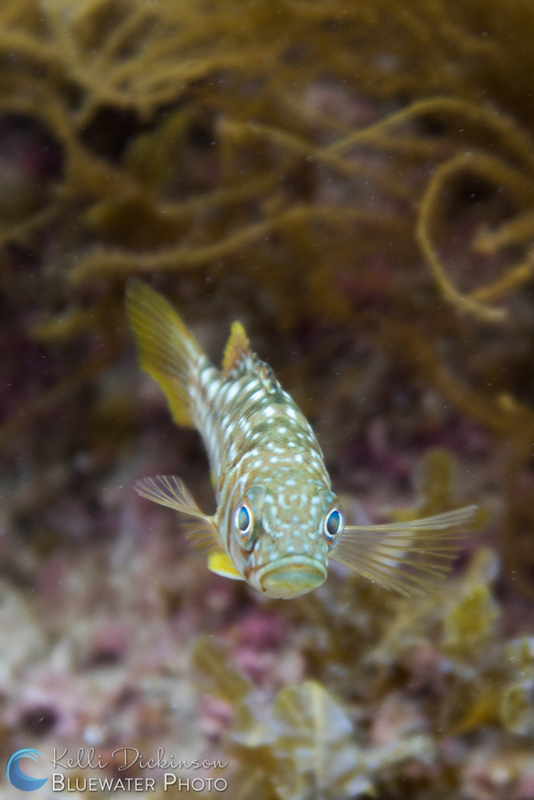 Fantasea G7X with BigEye Lens attached. While the Canon G7X offers about a 84° field of view on land, when you put it in the housing and submerge the properties of refraction underwater cut that field of view down by about 25%. This is great for macro and general portrait shooting, however if you want to shoot wide angle with the Fantasea G7X the only good option is the Fantasea BigEye Dome. This dome counteracts the magnification from refraction, restoring the in air 84° field of view. It is quite a difference when comparing the scene, as in the photos below. 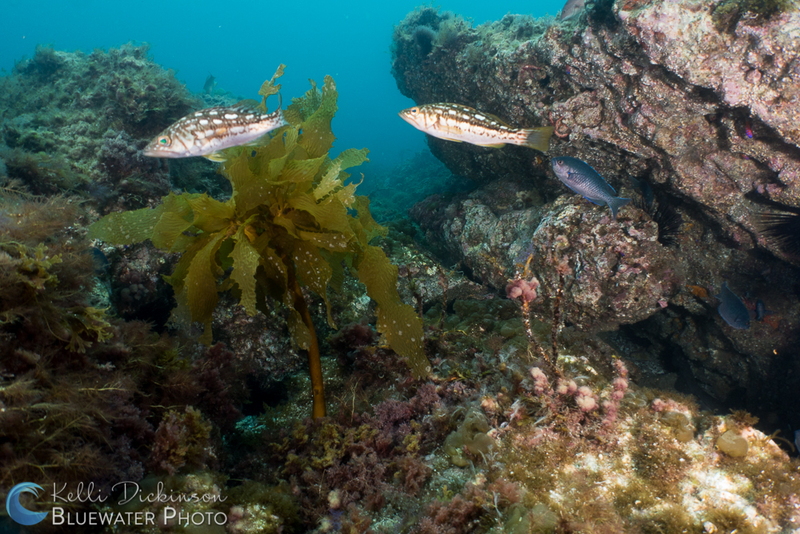 Unfortunately, other wet wide angle lens options do not work with the Fantasea housing, view our lens test article for the full results. Like all compact cameras these days, the Canon G7X also has the ability to record HD video. A dedicated record button on the back of the housing allows for quick, one touch recording. Overall the quality of the video is excellent, providing a perfect way to capture those underwater scenes when a photo just won't do it justice. The Fantasea G7X is one of several housings available for the Canon G7X. Three of these options are polycarbonate, offering you the ability to take your Canon underwater without breaking the bank on the higher end aluminum options. Ikelite has a housing, and Recsea recently released a line of less expensive polycarbonate options including the G7X. Compared to these housings the Fantasea holds up really well. It has nicer ergonomics than the Ikelite and is a bit smaller. The controls are easier to use as well. Compared to the Recsea CW, the Fantasea housing is bigger, and the Recsea offers a 67mm threaded port which makes it easier to add accessories. This port also allows you to use the Dyron Super Wide Angle lens for maximum wide angle shooting. However, the downside to the Recsea CW G7X is that it does not offer control for the rear dial, so it takes a few more steps to change settings if using the camera in Manual mode. All three housings have clear backs, and the entire Ikelite housing is also clear. Only the Fantasea offers a dual o-ring seal and leak detector. 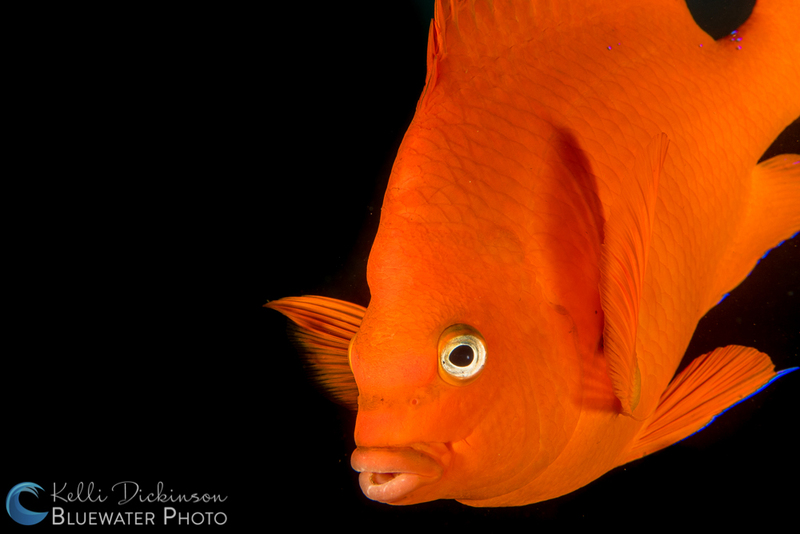 Overall I was very happy with the Fantasea housing for Canon G7X. It works exactly as it should, and having full access to all camera functions means a smoother, more enjoyable user experience. While some other brands will allow for slightly better ergonimics and controls that may be manipulated single handedly, these housings also come at twice the cost. When performance is important and budget is a priority, this is the perfect answer for housing your Canon G7X for underwater photography. 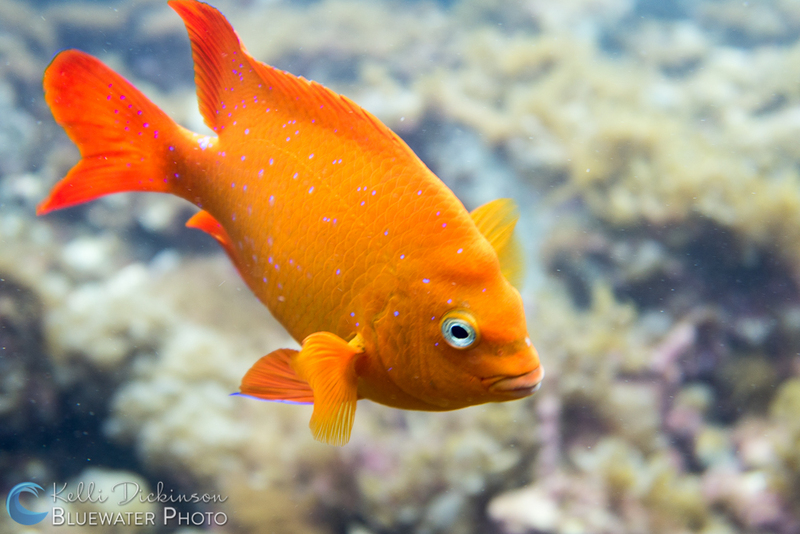 Set up your camera and housing for the best photos underwater, add a strobe, lens, focus light and more. Add a Focus Light . 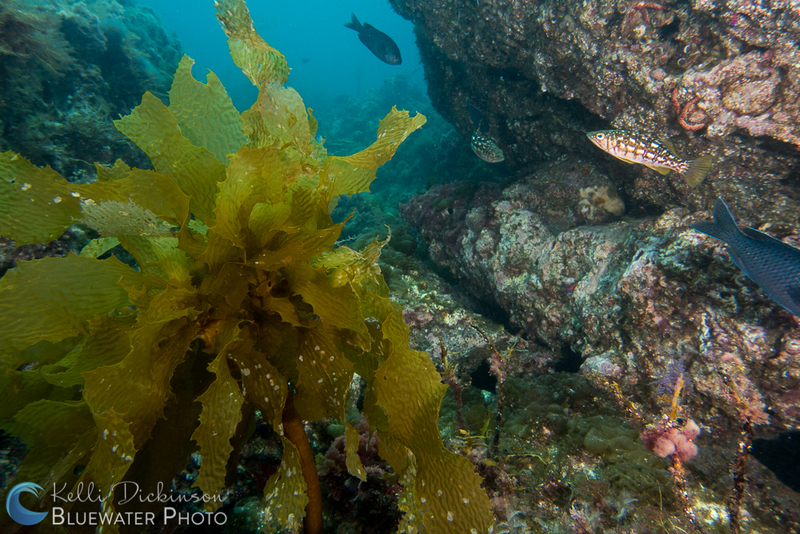 This helps your camera focus in the low contrast environment underwater. 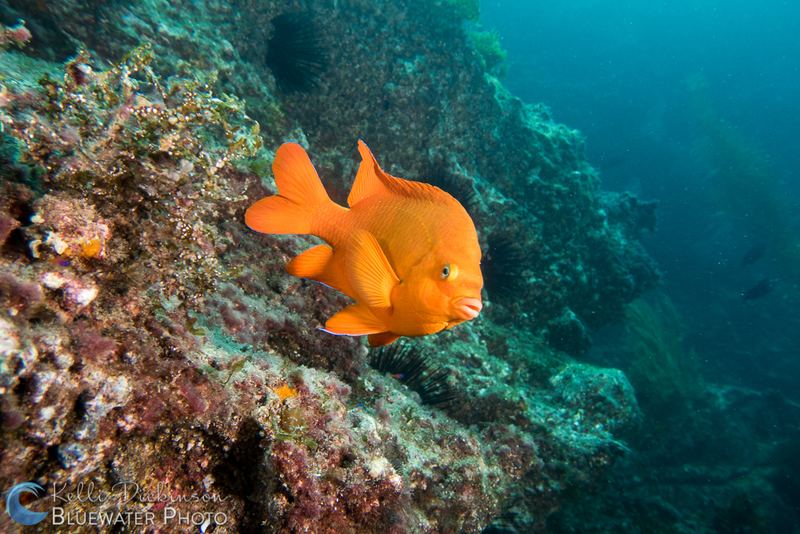 Shoot Wide angle with the Fantasea BigEye Lens. Shoot great macro with the Bluewater +7 Macro Diopter (Fantasea EyeDaptor required). 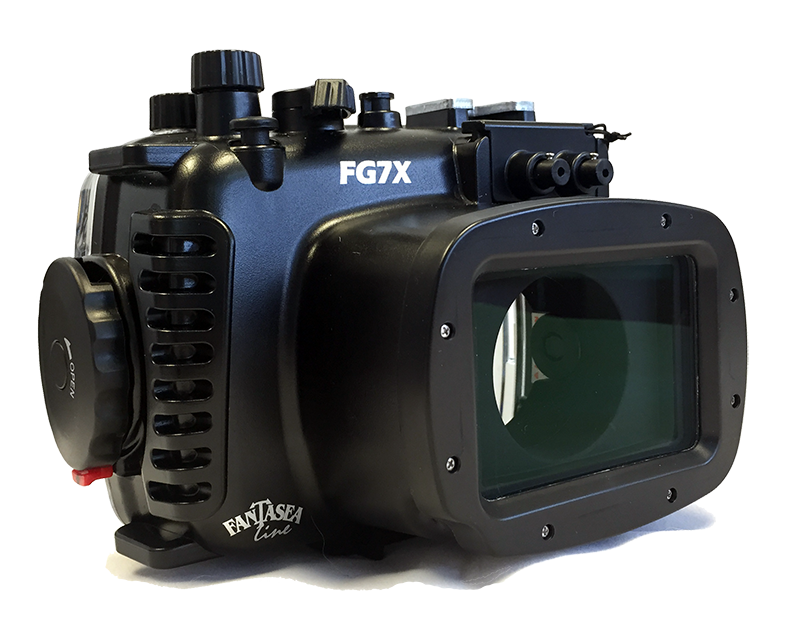 Buy the Fantasea G7X Housing here. The housing is just $399. Add the camera for only $499 more, limited time special. Looking for more information? Have a question? Want to buy one? 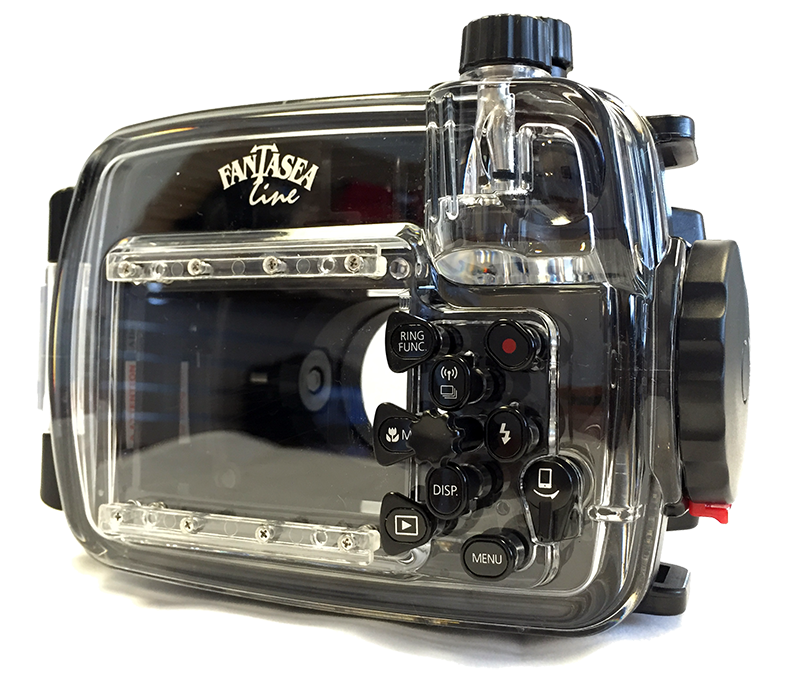 Overview of the Fantasea housing for Canon G7X camera.